The fourth day of the fourth month of the year can be written “4/04.” When you visit a website that doesn’t load, you may see the error code 404. So it is appropriate that this day should be an opportunity to reflect on all of those pages that people can’t reach due to censorship and blocking, and we applaud EFF’s 404 Day: A day of Action Against Censorship in Libraries. Often when we think of censorship, we think of state-directed censorship, of the kind that we’ve seen in Turkey over the past couple of weeks. But not all censorship is on such a grand scale. In the United States, public libraries and schools often add filtering software to their public computers. At its best, it keeps lewd and harmful content off shared computer resources. But more often than not, it makes unavailable important educational content about bullying, sexual health, and sexual orientation, for example. And for many, libraries’ and schools’ computing resources are their only way to access the Internet. 404 Day aims to raise awareness about these important issues. 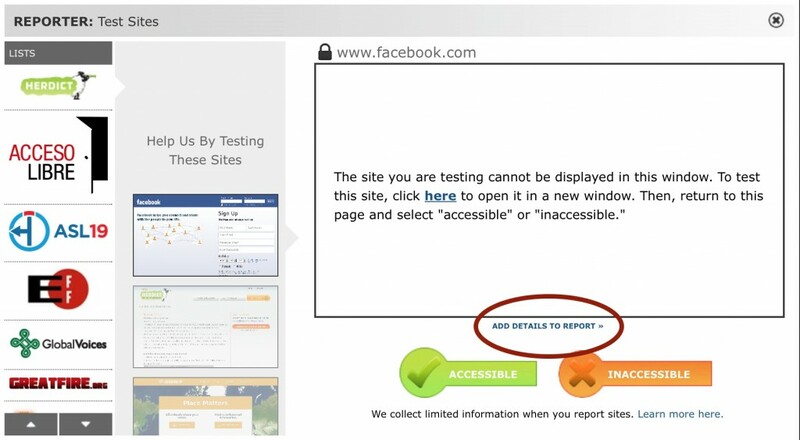 1) Report a specific site that is blocked using the field on the Herdict homepage. 2) Test some educational sites about bullying, sexual health, and sexual orientation, and report them using this list. 3) Test some of the other sites in the Herdict reporter. If you do file a report, be sure to mark it as from a school or library by clicking on “add details to report,” as shown below.